The first button is missing and its loop needs repaired. 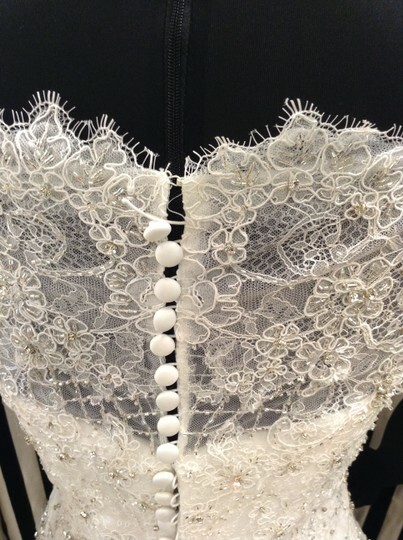 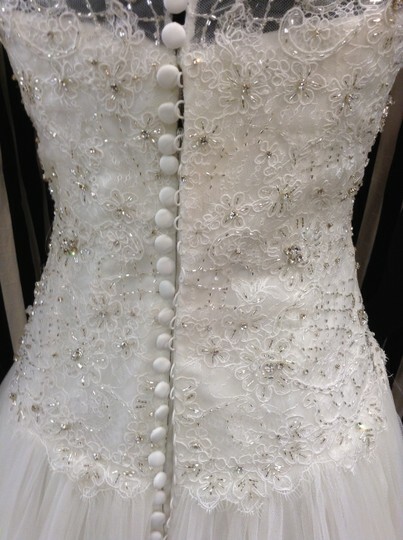 There may be loose beading or threads but there is no major damage, rips, or stains. 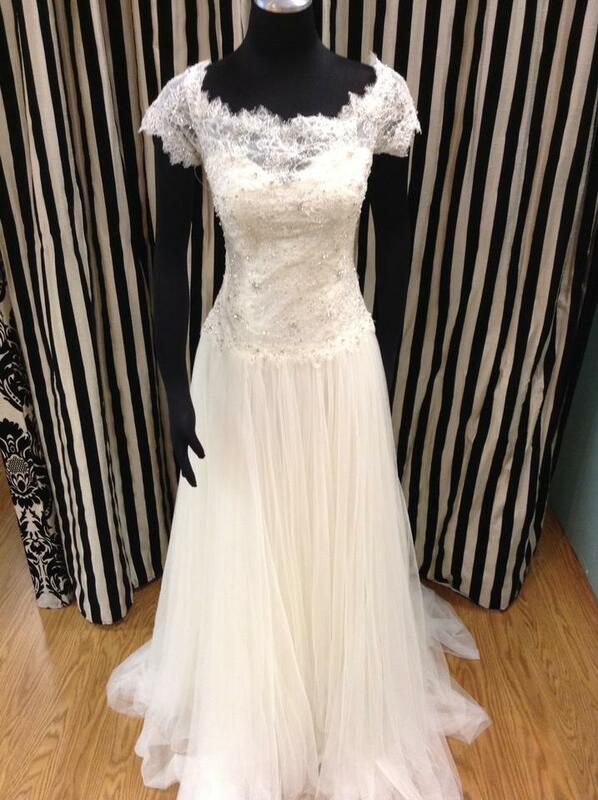 This is such a different and demure gown! The off the shoulder neckline is so sweet and flattering. 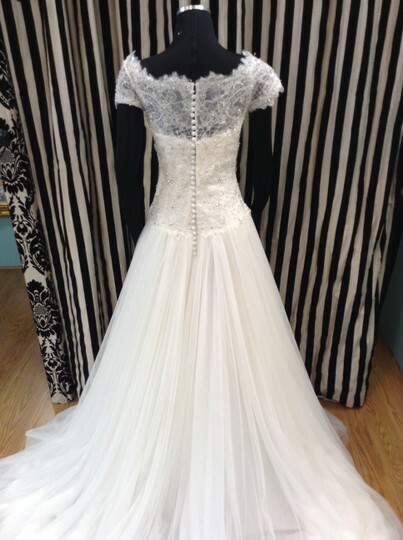 The skirt has the softest tulle ever! 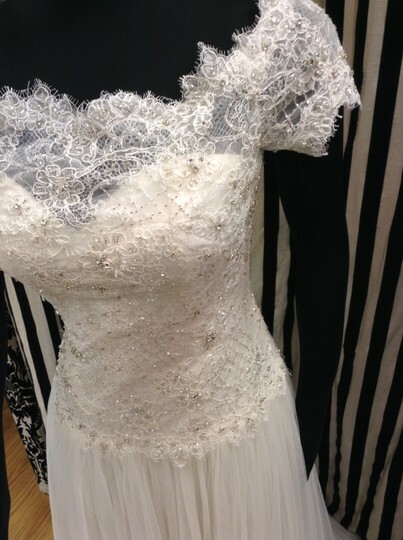 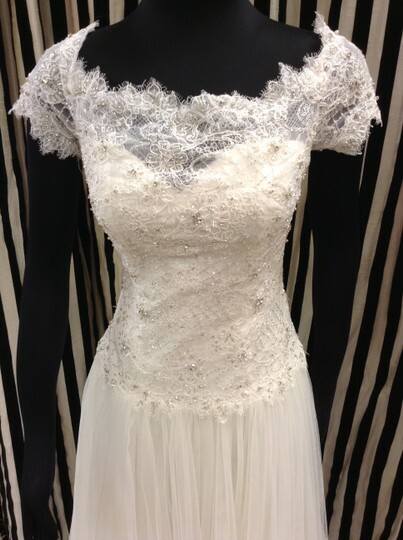 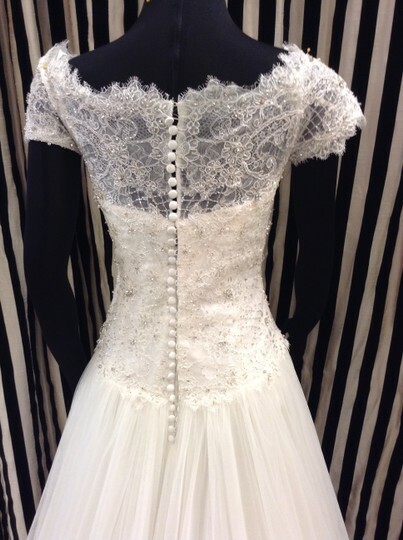 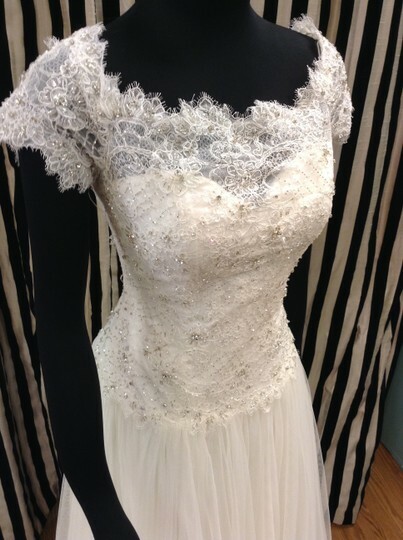 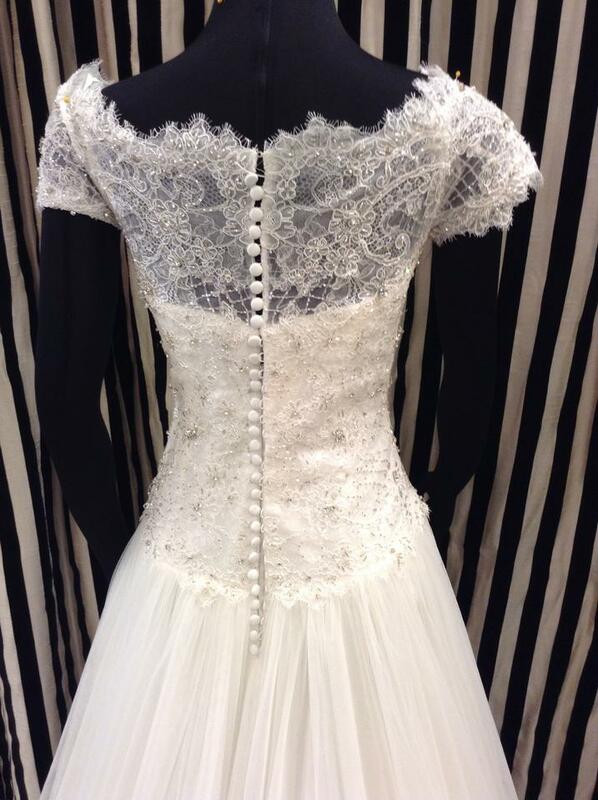 This gown is in fabulous sample condition and has only been tried on 3-4 times in our boutique. 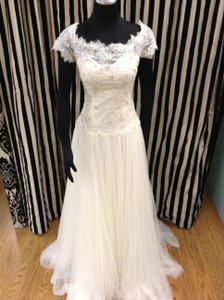 It has never left our store and has never had alterations done.